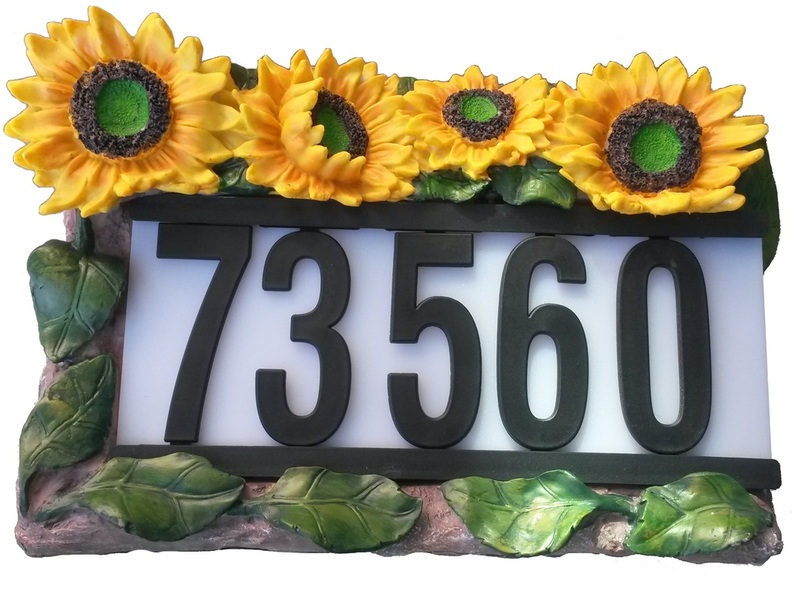 Add this solar address light to your garden decor, to display your house number for your guests at night. This beautiful solar address light is made of anti-heat poly resin and will last for years to come. With our latest solar panel, rechargeable 2V batteries, and 3 LED’s, it will provide a longer run time through the night! The light can run up to 8 hours, depending on weather conditions. 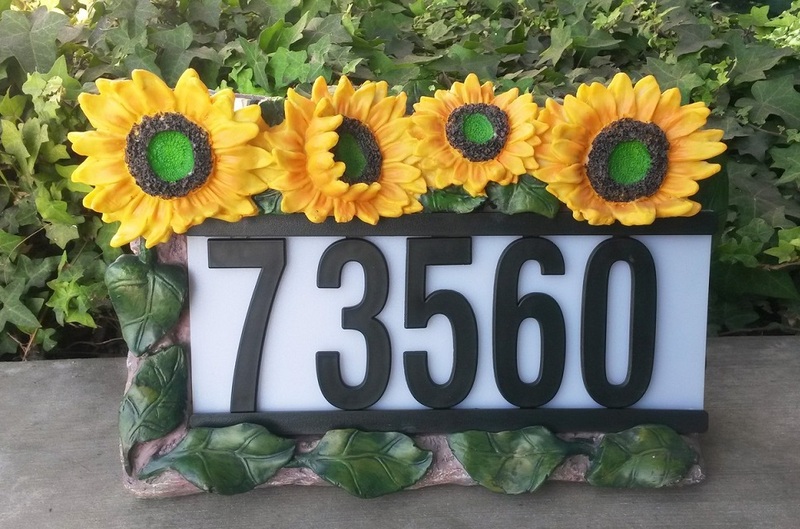 This sunflower solar address light is completely powered by the sun, no wiring ever needed. You can display up to 5 numbers visible at night with ultra bright white LED.